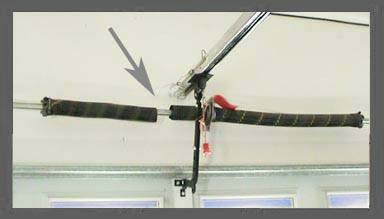 Do you have a broken torsion spring on your garage door? We can take care of that for you. Springs are what counter balance the weight of your garage door and make it possible for you to open your door, both manually and with an electric garage door opener. A broken spring will cause your door to become very heavy, not open properly, and put extreme stress on your garage door opener and possibly damaging your door and Opener. We can replace it for you starting at $100.